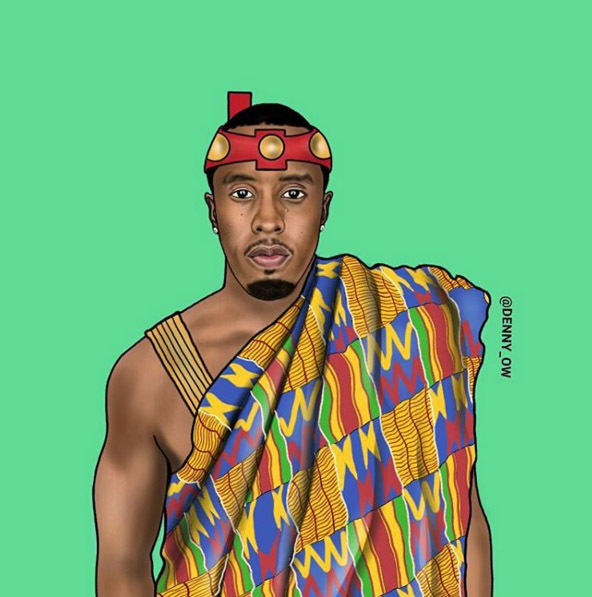 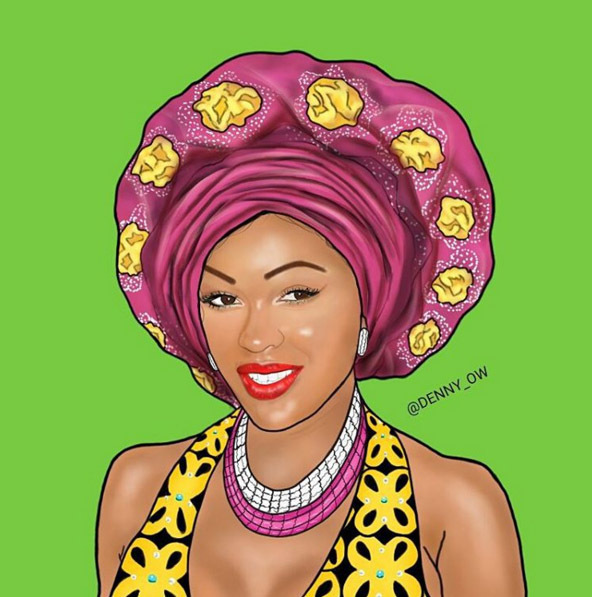 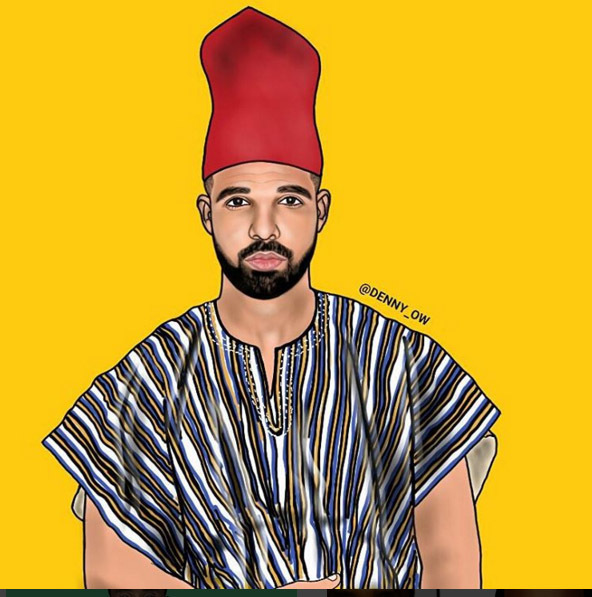 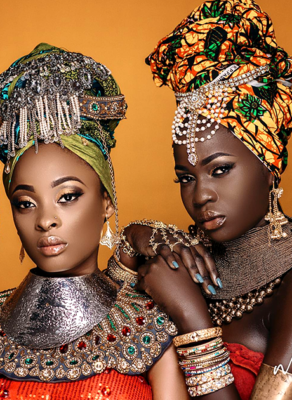 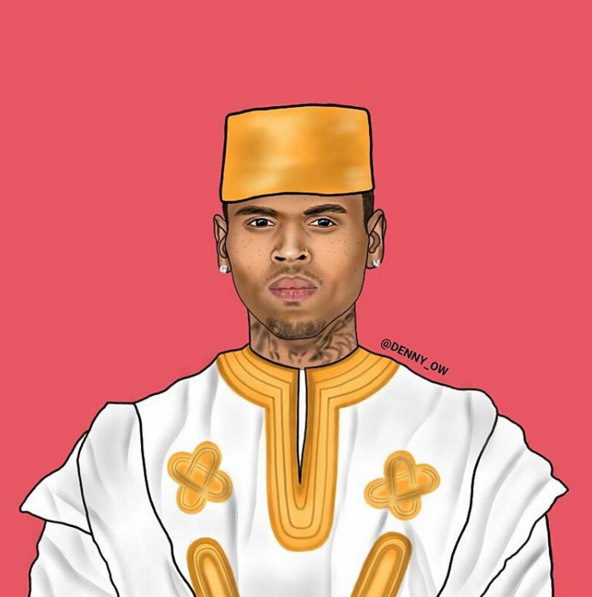 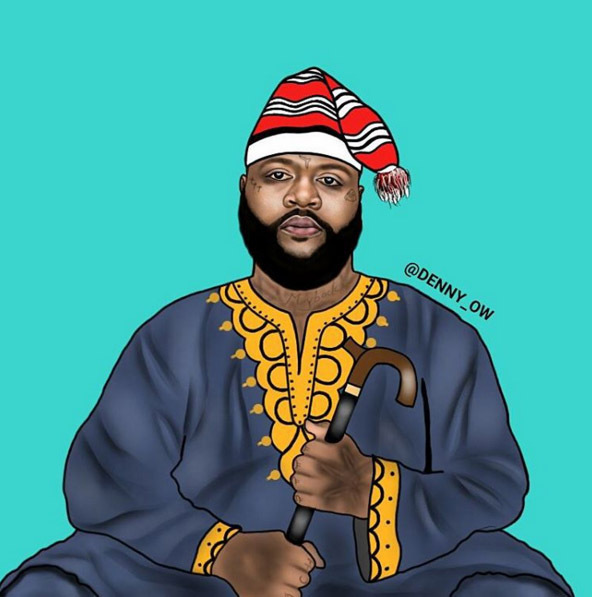 Seeing Jay Z and Chris Brown in African attire is nothing new to the public and their followers, however Ghanaian illustrator Denny Owusi took the celebrities to a new level and even included more such as Drake, Rick Ross, Rihanna, etc. 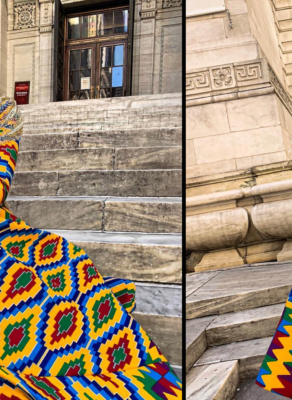 Maybe it’s just me, but with all the bragging of their status, this may just be the first time seeing them in clothes that match the image projected. 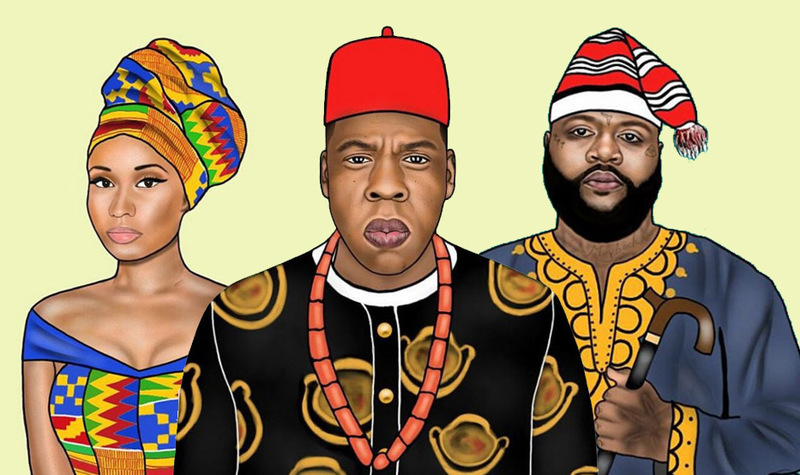 Enjoy the illustration and see the celebrities below. 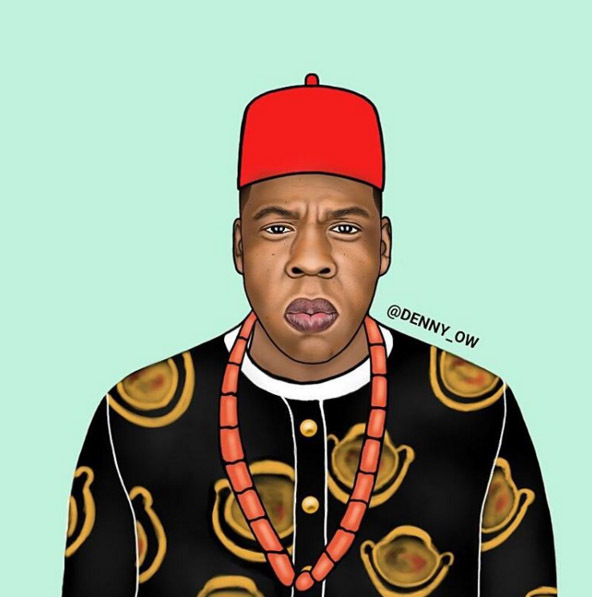 Jay Z in traditional Nigerian Yoruba Attire. 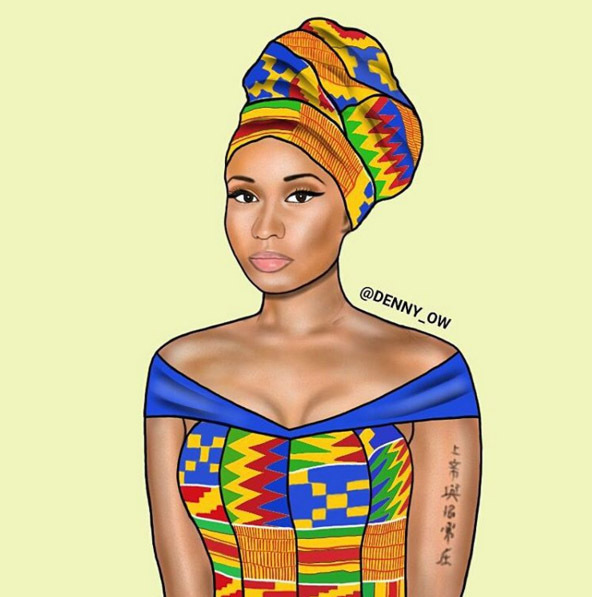 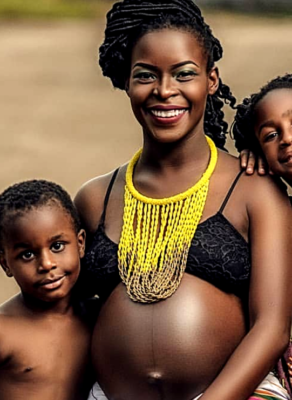 Nikki Minaj in traditional Ghanaian Kente Attire. 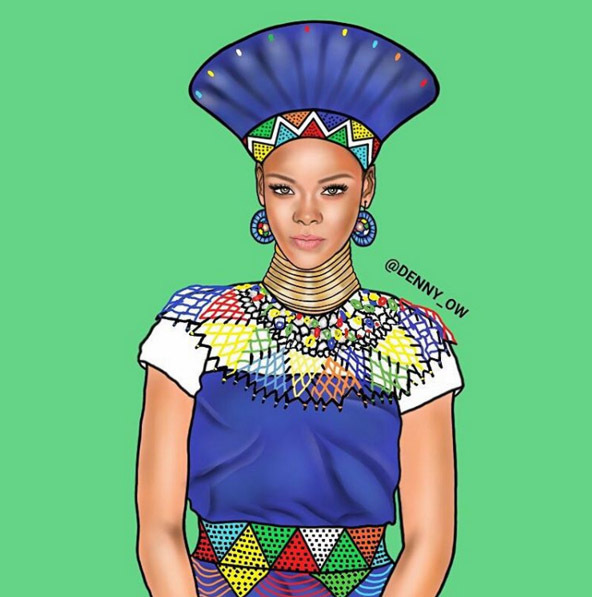 Rihanna In South African Traditional Zulu hat and Fashion. 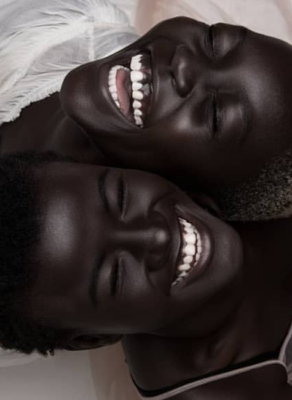 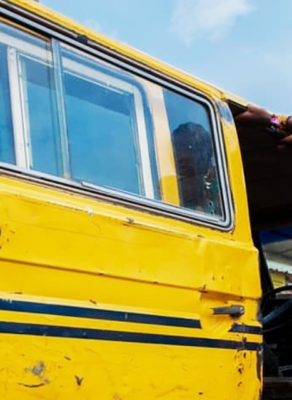 See more Hot Shots Here.